Izzy is using Smore newsletters to spread the word online. Weather you are preparing for a big track meet or catching up on sleep you don't have to worry about breathing! From breathing to talking your respiratory system takes care of it all! Impulses such as the ones I just listed, you don't have to think about. Take a moment and talk a little. Did you see that you didn't have to think about the words you just formed or the fact that you were breathing while you talked? Weird, huh? The respiratory system does it all for free, no memory required. If it did require thinking, 20,000 time of breathing per day would get old to think about. The main function of the respiratory system is to supply blood with oxygen that then gets delivered to other organs in your body. Another one of the purposes of the respiratory system is to filter out foreign matter and organisms that enter through the mouth and/or nose such as harmful viruses and disease. First, you breathe in oxygen into your lungs. From there the oxygen oxygenates your blood which gets carried and delivered to all the other organs in your body. Last, you breathe out carbon dioxide into the air. The windpipe extens down from the voice box and enters the mid chest cavity. The walls are straightned by ring cartiledge to allow breathing access. The lungs are two sacks of an organ that take in air and deflate to pass oxegenated blood through the body. 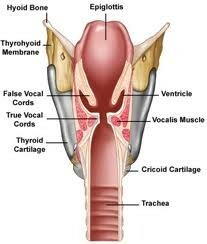 The throat is a passageway for air to travel down to the windpipe to the lungs. The nose detects smell as well as breathes in air. 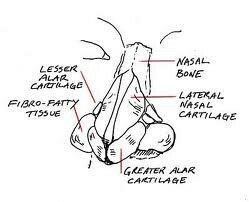 The nose contains two nostrils that act as a passageway to the lungs. The voice box is in charge of using air to set off vocal cords for speech. 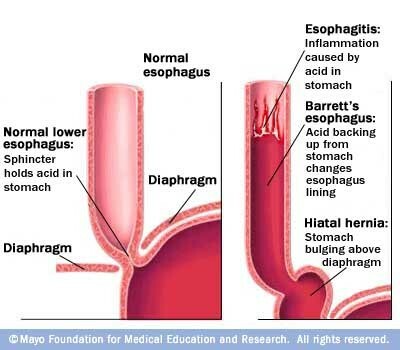 The esophagus is a tube that starts at the throat (neck) that is yet another passage to the lungs to create oxegenated blood. Red blood cells are the type of cells used in the respiratory system. Here is some background on red blood cells. The red blood cells are responsible for picking up the oxygen in the lungs and carrying the oxygen to all the body's organs/areas that need it. The red blood cells then pick up the carbon dioxide which is a waste gas product produced by our cells. If there is too much in your system, you could die. 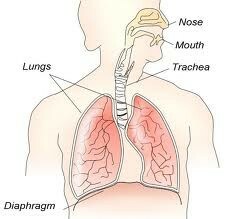 The red blood cells transport the carbon dioxide back to the lungs and we breathe it out when we exhale. Epithelial, connective, nerve, and muscle tissue are the types of tissue in this system. Nervous tissue may not seem related to this but it is. If you think about it, the muscles of the mouth are controlled by the brain which relates to the nervous system. The organs include the nose, throat, voice box, windpipe, and lungs. You can get air through the nose and mouth. 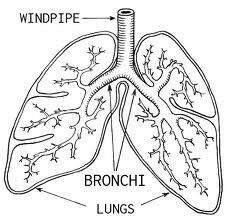 The air passes though the windpipe past the voice box to the lungs. You need oxygen to make the air vibrate the voice box to make sound. 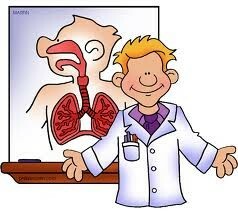 The organ system is the respiratory system. Basically, to sum it up, it is meant to help you breathe in oxygen and out carbon dioxide. A: It is a dome shaped bowl that is made up of thin, flexible rubber which sits over the cervix. A: It is the large air tube that leads from the larynx; the voice box to the bronchi which are the large airways located on the top of your lungs. A: It is the muscular tube that carries the food you eat and the liquids from the throat to your stomach. It runs through the middle of the chest cavity. A: They are the tiny air sacs in the lungs at the end of the smallest airways, where the exchange of oxygen and carbon dioxide happens. What other system does it work with? How do they connect? A: The nervous system and they connect because the nervous system is made up of nerves that are connected to your brain and spinal cord and it goes throughout your whole body. They send messages to tell the body what to do but without the nervous system we can't use our respiratory system.